Funny gym quotes: Friday night - time to make some mad f*cking gains! It’s time to make some mad f*cking gains! Friday nights are gains night when you’re living the gym life! 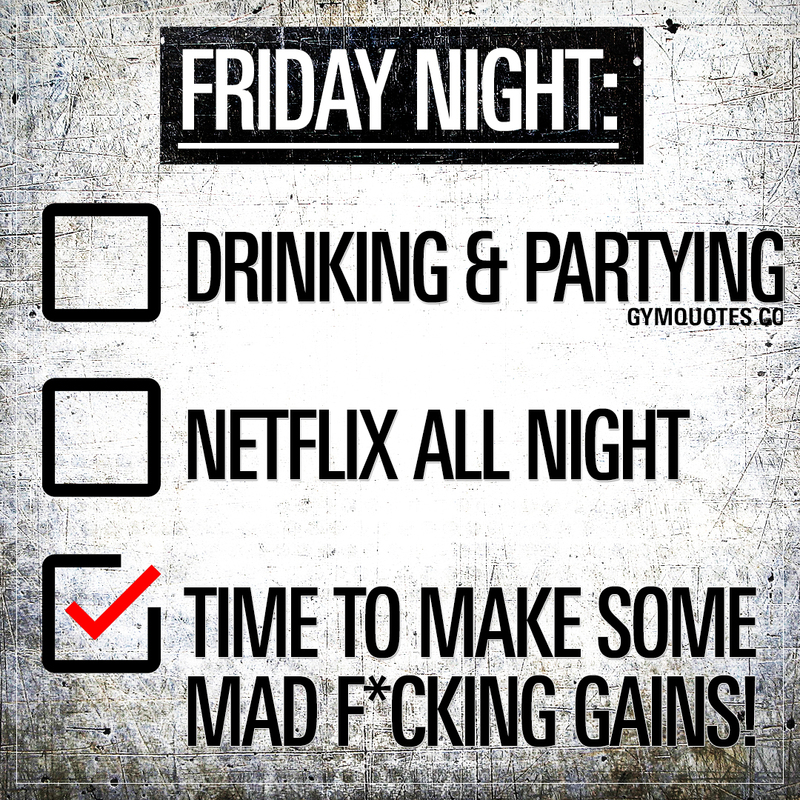 This “Friday night – time to make some mad f*cking gains!” quote (image and text) is copyright © Gym Quotes 2018. All rights reserved.